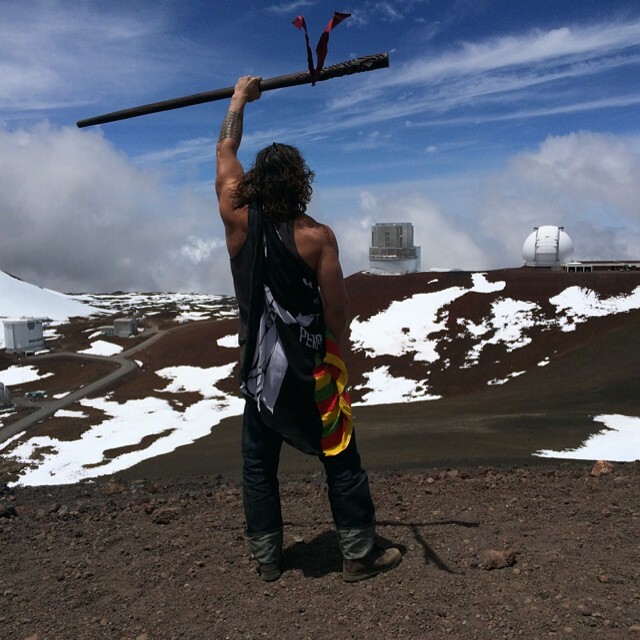 Protestors -- or Protectors, as they prefer to put it -- are still fighting the fight against construction of the Thirty Meter Telescope atop sacred Mauna Kea in Hawaii. 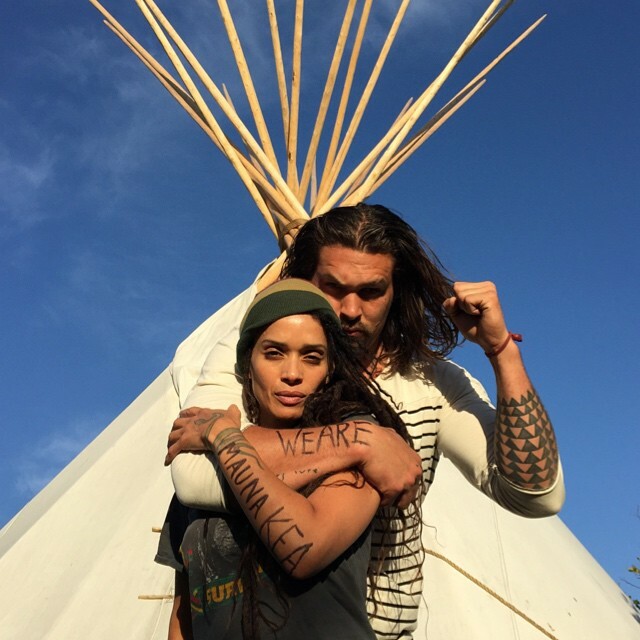 What might usually be filed away as an Indigenous issue has gotten a lot of attention from celebrities and their followers on social media thanks to a campaign started by actor Jason Momoa back in April. Momoa, Native Hawaiian, is one of today's fastest rising stars, on the strength of his work in Game of Thrones and The Red Road, and his selection to be Aquaman in multiple future films. 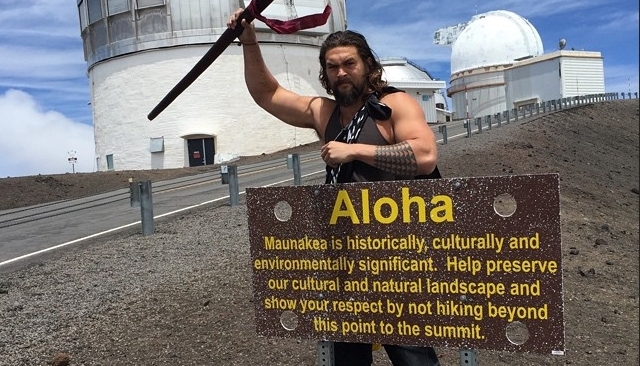 Momoa started a campaign on his Instagram account, "We Are Mauna Kea," and immediately set about attaching Hollywood faces to it. It's easy to see how he wove his web of activism -- if you were a co-star or Hawaiian friend of Momoa's, you were gonna get the call. And many answered it by posting their own We Are Mauna Kea pictures. From there, the activism spread to other celebrities -- Hollywood acquaintances and famous friends of famous friends. 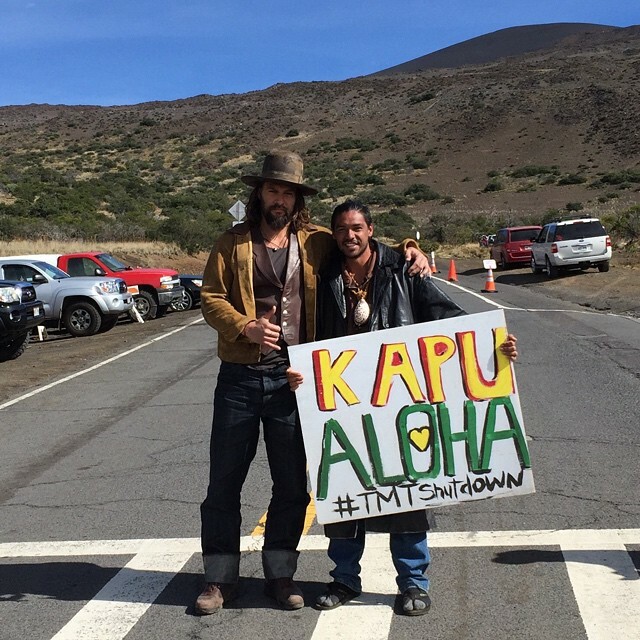 In addition to showing support in pictorial form, Momoa asked celebrities and followers to sign and publicize the Stop TMT Construction and Arrests of Mauna Kea Protectors petition at Change.org. 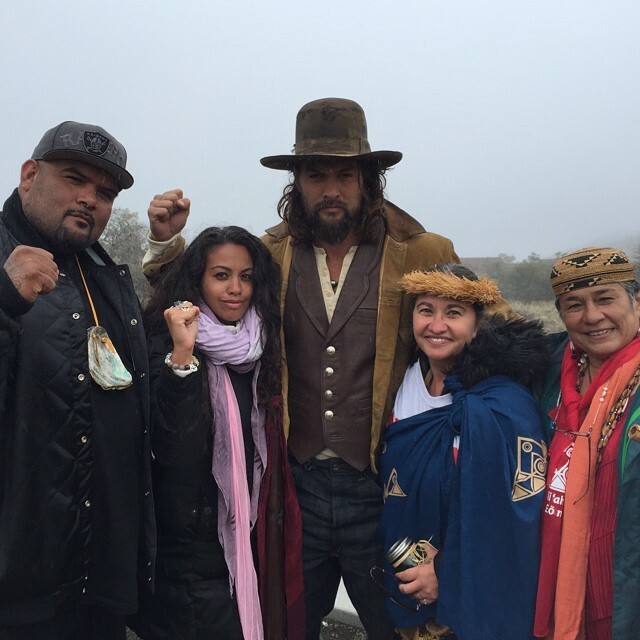 Responses to "Jason Momoa Is Using His Celebrity Clout to Protect Sacred Land Mauna Kea in Hawaii"
Protect Mauna kea Stop TMT construction on Sacred grounds! We need the telescopes in Hawaii to be our eyes into the cosmos. There are only a very few places on Earth to put them. It is not a desecration to use the land for such a noble purpose. A question about annexation asked of Councilwomen Jennifer Ruggles. "I'm glad you brought up annexation and can't help but respond. In order for a country to be annexed it must "Cede" it's sovereignty to the receiving country. Cession only happens through a "Treaty of Peace." A country "cedes" its sovereignty through a "treaty of peace" and it becomes therefore "annexed" by the receiving country. What I am saying here is there's no legal evidence Hawaiian Kingdom was ever actually "annexed" into the U.S. Annexation only happens via cession through Treaty of Peace. The only Treaty of Peace between the Hawaiian Kingdom and the U.S. is the one that Queen Lili'uokalani and President Cleveland signed on December 18th in 1893 in which the Queen would grant amnesty to the invaders, (not kill them), while the U.S. would restore the Hawaiian Kingdom government. The U.S. has yet to fulfill it's condition of the treaty." To learn of current events that apply to everyone especially those who live in Hawai'i.